Welcome to the 12th year anniversary at Kranti Yoga School. It is a delight to announce that over 7147+ Students have come to The Yoga Village from all corners of the globe to develop with us as both teachers and practitioners for a decade. 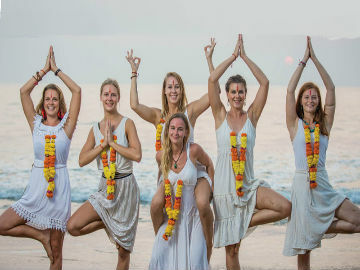 We offer 100 Hour Yoga TTC, 200 Hour Yoga TTC, 300 Hour Yoga TTC and 500 Hour Yoga TTC hrs Yoga Alliance accredited Yoga Teacher Training Courses (YTTCs) in Ashtanga Yoga, Vinyasa Flow and 300 Hour Yin Yoga. We are situated right on the beach with morning practice in our main shala overlooking the Arabian Sea. You may be lucky enough to spot a dolphin or two at sunrise!!! What more can you ask for. The courses are extremely structured and organized. All modules compliment each other and a holistic approach to the Ashtanga Yoga practice is provided. We have a really good balance of Western and Eastern influence. Technical Workshops include Chaturanga, Transitions, Backbending and Hip Opening. Our workshops are so much fun and really help to develop techniques needed. The Yoga Village is a safe environment with security and CCTV throughout the shala 24 hours a day. With many single female guests arriving in India, often for the first time, this is extremely important to us. 12 year anniversary with up to Early Bird 20% discount! The Kranti Yoga School Teacher Training Course is a comprehensive Yoga Alliance approved 200. 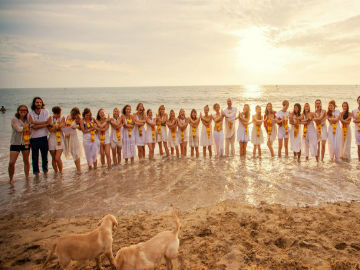 This residential 300 hour Yoga Teacher Training Course is a comprehensive Yoga Alliance. 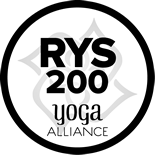 Yin Yoga is the perfect way to compliment the practice or Ashtanga Yoga or Vinyasa Flow. We are delighted to announce a new course at Kranti Yoga: 100 hours Yoga Teaching Training. 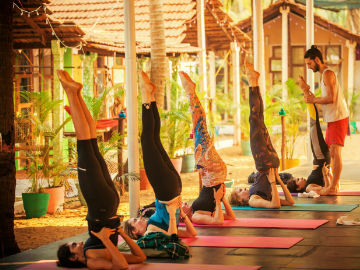 Kranti Yoga is please to offer a weekly Yoga Intensive Course directly on Patnem Beach. From time to time we all deserve a little time to ourselves.